A.J. 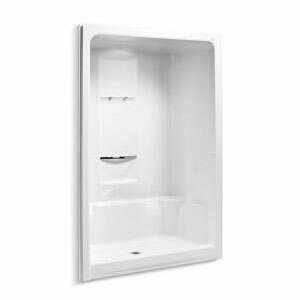 LeBlanc Heating sells, installs and services all types of shower stalls, shower bases, shower enclosures and shower fixtures. Whether your building your dream bathroom, replacing a leaking shower fixture or if you just require bathroom plumbing service A.J. LeBlanc Heating's master plumbers are here to help. A.J. LeBlanc Heating's master plumbers will also install homeowner supplied shower stalls, shower bases, shower enclosures and shower fixtures. Call our plumbing department today for a free shower installation estimate or to schedule a bathroom plumbing repair.